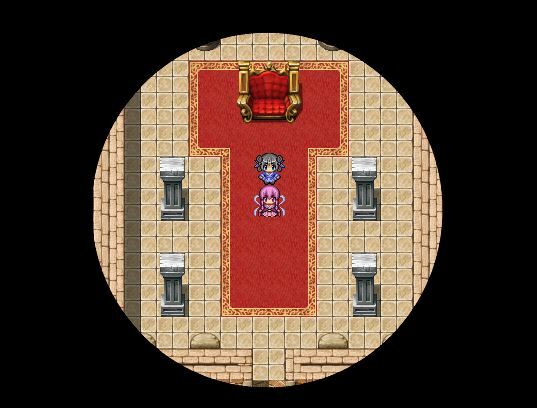 In this article we explore a feature built into RPG Maker sprites called Blend Type. Personally, I don’t see it come up very often, and initially I didn’t have much idea how it works either. It just seemed like it did something with your colours but it wasn’t clear what it was doing. After doing some research and understanding what colour blending is, I have (almost) successfully created a tunnel vision effect using only pictures. Which doesn’t really explain much about how it works, but that’s because “blend mode” refers to the type of blending you are performing. You have to read the other article on colour mixing to understand what mixing means in the context of digital graphics (or light in general), and to understand that you have to understand how colour works. So to avoid all that reading I will provide some summaries based on my own understanding (which may or may not be accurate since I’m overly simplifying it). Each component has a value between 0 and 255 inclusively. If you tried to go below 0, it’ll just be set to 0. If you tried to go above 255, it’ll just be set to 255. Different amounts of each component will result in a different colour. (0, 0, 0) is black, while (255, 255, 255) is white. Basically, in RPG Maker, 0 is transparent, 255 is opaque, and anything in between is semi-transparent. This is how you can make ghosts sprites or windows look see-through. Now that you know how colour works, we can finally talk about blending. Recall that pixels are composed of three individual colour components, and each colour is simply a unique combination of these values. Because the components are numbers, you can perform math on them. All algebraic operations follows the same rules as vector algebra: operate on each corresponding components; R with R, G with G, B with B. So for example, if you had a black pixel (0, 0, 0), and then you add some pure red to it (255, 0, 0) you will result in a pixel that is pure red (255, 0, 0). Just accept that it works that way. Similarly, if you had a pure red pixel (255, 0, 0) and then you subtracted white from it (255, 255, 255), it will result in a pixel that is black (0, 0, 0). Remember, trying to go below 0 will simply be rounded to 0. The Wikipedia article on colour mixing has some pretty nice images about it. If anything they are colourful. The order is important: it is always from the lowest layer up to the top layer. Basically, “255 – 0” does not equal “0 – 255”. So for example, suppose you have your map. The tiles are rendered on viewport1, which is the lowest layer compared to viewport2 where pictures and character sprites are drawn. 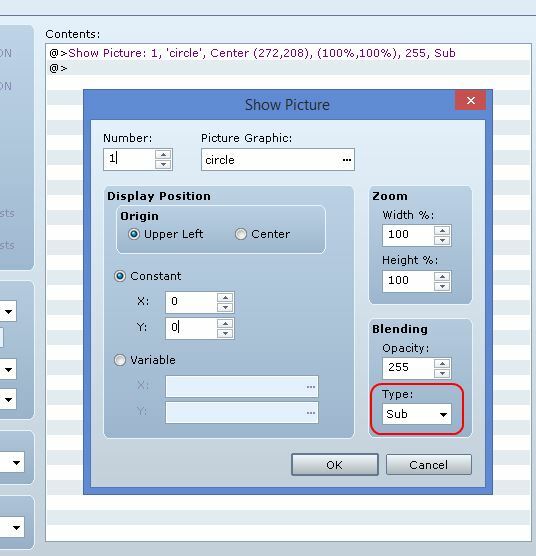 If you displayed a completely white picture using the Show Picture command and set the blend type to zero, this means that you are taking the pixels on the lowest layer (tiles) and subtracting the colours by white. Subtracting anything by white will result in black, so you will simply have a black screen. On the other hand, if you subtract anything by 0, there will be no change. This means that if you subtract any colour by black, you will have the same colour. Which is also not very exciting. But what happens if we combine the two rules together? And then use a Show Picture event to display it. 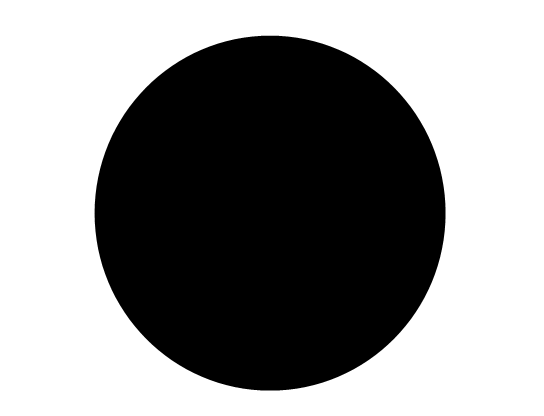 Of course we could have just created an image of a transparent circle on a black background, so at this point I’m not exactly sure what the point of using blend mode was. That’s not something you’d be able to do with a regular picture right? Some sort of blending would be required now! Note that due to the way pictures work, the circle doesn’t really follow you around. It’s just that the picture is attached to the screen, and the camera is centered on the player by default. Once you move to the side of the map, you’ll see that the circle is no longer centered on the player. We will explore this in a different article. Math is the general idea behind colour blending. 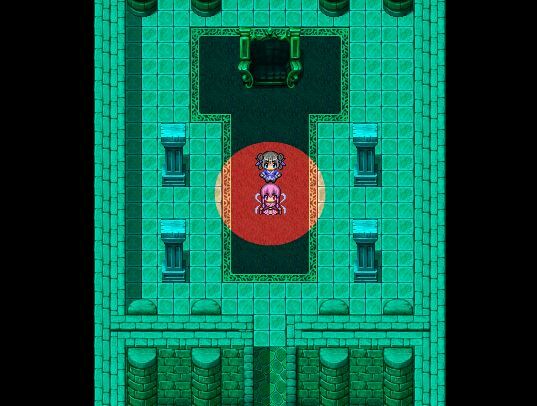 In RPG Maker you can replace, add, or subtract colour from each pixel, allowing you to create some fairly intricate colour effects. Combined with other picture-related functionality such as resizing or moving around, you can create various dynamic effects.